Okay, look under normal circumstances if you asked me to take my whole munchkin crew and make them sit for H.O.U.R.S. at a baseball game I would laugh in your face and think you were joking. Don’t get me wrong. 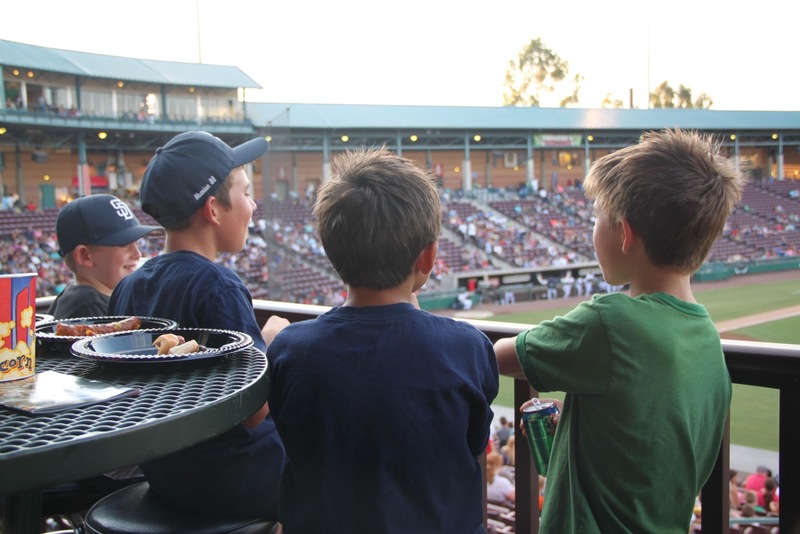 I used to love a good baseball game with a delicious hot dog in one hand and a cold beer in the other surrounded by good friends and laughter… BUT with the munchkins its a whole other story. My kids attention span in this crazy iPad/ video game paced world is about 5 seconds… don’t laugh… I’m NOT kidding. So, you bet your bottom dollar I was giddy as all get out when we attended a baseball game WITH the munchkins AND had a good time. Storm Games are a great choice for families from the cleanliness of the stadium and cheap ticket prices to their dedicated Kids Zone complete with inflatable jumpers for the kids. Plus, on top of that they have nights specifically geared towards families. For example every Friday night you can sit back and enjoy the “Best Fireworks Display in the Inland Empire” after the game. Or enjoy their Sunday Funday which consists of kids taking over the Diamond where they announce the game and can race Thunder across the field. Plus, there are plenty of antics between innings to keep the kiddos entertained including a bunch of mascot characters… my munchkins get a kick out of the race the squirrel bit they do!! Here is the my TOP REASON to go to a Storm Baseball game. You can rent the party deck!!!! It’s not just a fun name… it is your own private party deck along the first base line. It can accommodate about 20 of your friends and includes waitstaff, food and drinks. It is perfect for a birthday party, work event or just hanging out with good friends. For me just the fact that all the food and drinks were there ready for us when we showed up (popcorn, chips, different sausages and hot dogs plus drinks and waitstaff to keep the cold beers coming) was enough to win me over. Plus, the Kid Zone is just to the right of the deck and there are clean restrooms located right behind you. I mean it is the ideal way to watch a game. Meaning as a mom YOU will actually enjoy yourself (shocking right?). I am all about people catering to my needs when we travel with 5 munchkins in tow so you can imagine how happy I was when I could actually sit back and relax. Watching the game was great but watching the munchkins on the bar stools laughing, playing and enjoying the game was priceless. *Don’t forget to contact Smart Card for great deals on Storm Tickets. the party deck sounds pretty cool! Always a Great time with Friends & Family!!!!!!!!!!!!! I have never been to a Storm game. WOuld love to go. My husband has been working straight since March 28, 16-18 hours a day, sometimes not coming home at all. This prize would give us something to look forward to and our 4 kids would love it!!! Supporting our local team!!!!!!! Go Storm!!! A storm game sounds fun! I hope my office wins because every single person works so hard for the Temecula Valley and this would be the perfect way to strength our team, relax and just have fun! Super family friendly!!! Much better than a Padre Game. Here, they play silly songs and have interactice games/activities throughout the entire baseball game to entertain everyone. You can win prizes all afternoon. You can sit closer than the Padre game for less money. They throw balls out to the kids in-between innings if you sit behind the dugout. I have attended several Storm games myself but remain daunted about going with our young sons for the reasons you mentioned. Thanks for writing this article to share that it worked out well and your family enjoyed their time! Would love to take the family and some friends….we love storm stadium!!! I would love to win this prize to take my family! 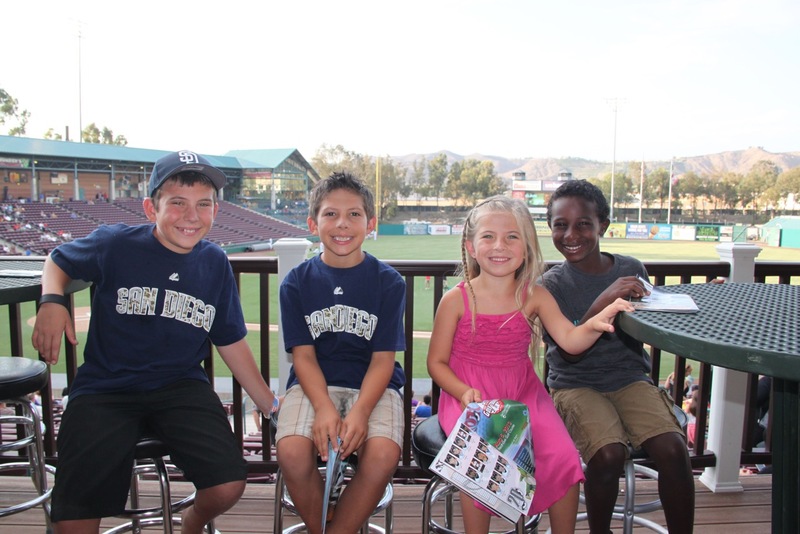 We love the storm stadium – it has something for everyone! Love, love, love the Storm, Thunder, Jackpot and he rest of the gang. Never been on party deck. That would b cool to win. My sons little league team is attending the game that night… This would be a great treat to surprise them with! Being a Dad of 4 I work out of town all week. Having the chance to spend time with family and friends at the best game ever would be special. Since I graduated and have roots to the stadium makes it better. Would love to invite my fellow veterans. With that said I know everyone has a story of why so good luck to all and God bless. We love having the Storm team & stadium in our “backyard”. So much family fun & always such a great deal! And the Storm are such wonderful supporters of all things local, from fundraisers to special nights & events; they’re an asset in the community! would love to win this- my boys love everything baseball! I wild invite the kits from the baseball team to come! 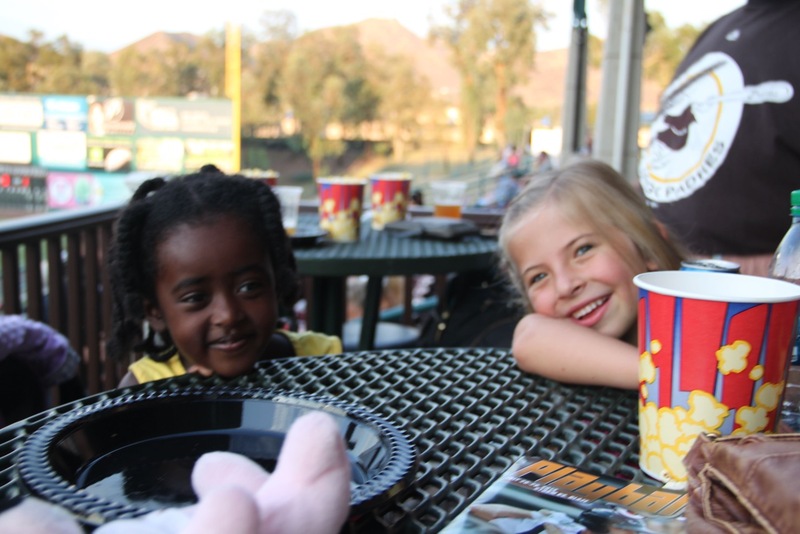 Want to show my friends what REAL fun is in Lake Elsinore! GO STORM! I would love to win. The Storm stadium is such a family friendly venue. It’s so hometown feeling and they really get the crowd involved and engaged. Would love to win this and celebrate my anniversary (a day early) watching the game with my family! My son’s baseball team goes every year. We always have a blast. We would love to win. Family, friends and supporting a local sports team! Putting that all together in such a fun way would be such a blessing for us! We love our community and our Storm! That’s my birthday weekend!!! I should totally win….I have the best baseball fan friends to bring with me!! Our family loves going to the storm games! We LOVE the Storm! Our Travelball team all did the camp and had so much fun. They used their tickets on opening day. These 9 year old boys have been through a lot… They had paid coaches right here in the Valley thst were stealing money from the kids. Not only that but in it for the wrong reasons. They didn’t want the boys to succeed. The boys have come a long way and are getting better every day with their new coaches. They work hard and deserve to play hard… I’d love to win this for our team! Winning this would give our family the opportunity to spend time with each other along with our friends and make lasting memories while enjoying our favorite past time. This contest would be cool to win because of the MAGNITUDE of the package…20 tickets and $600 voucher! Awesome and very generous… Something we wouldn’t be able to do on our own. I’ve wanted to take my kids (3&1) to a ball game and it sounds like the party deck is the way to go! I would love to win the giveaway! My kids love going to Storm games. We are getting ready to celebrate our 15th wedding anniversary this would be a fun way to celebrate with friends & family. my son would be over the moon if I won a day like this!! This would be awesome to share with the whole family and friends. Baseball is such a good past time for everyone! Been a season ticket holder off and on since 1995 but have never had a Party Deck! 4 Days after Christmas my husband lost his job and our family has seen some true struggles since this time. The day of the game is my son’s 3rd birthday and I would love for him to have a birthday party with family and a few friends and this would be an amazing way to make this happen! Also, my best friend, who just came back from her second deployment, is also expecting her 3rd child and I would LOVE to reveal the gender of her baby in a special way. What better way than a jumbotron! Thanks for taking the time to read this. Good luck to everyone! oh man would this make my friends and family the most blessed! It is such a fun time. I’m prettttyyyyy sure winning would be better than Christmas presents under the tree this year. My son’s birthday is that weekend and this would be a blast! !!! To experience it first hand for these aspiring baby leaguers I think would be the greatest inspiration. thanks for the raffle! I also love that the Elsinore Storm has Military Mondays! My kids would love this and you’re right, the mascot is hilarious! What a fantastic way to spend some time with family and friends! We are so lucky to have this option as entertainment in town! 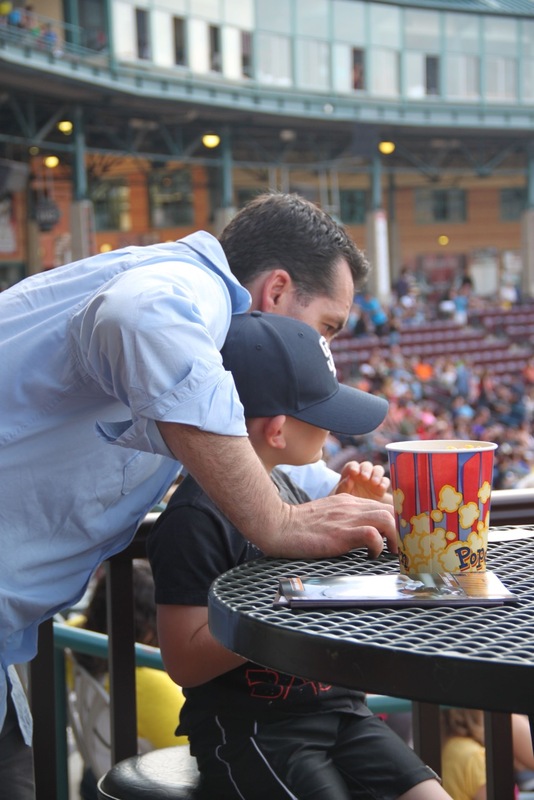 Nothing beats a warm summer night, a cold drink, hot dog, and a Storm Game! My family enjoys going to sporting events together. This would be a fun opportunity for us to go to a game & invite some of our kids’ friends. We Love going to storm games and meeting up with friends and family!! Would love to win for my son’s birthday. I am underemployed right now and this would make a great party for him. 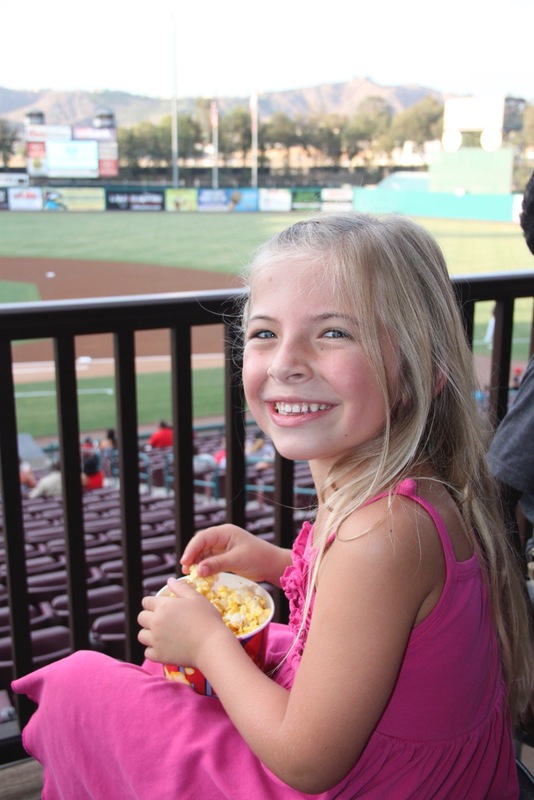 Very kids friendly- they have a little play area for the kids- The stadium prices for food and drink are very affordable- and my family and I LOVE minor league baseball, we support the minor leagues!, It’s also another way we can do something as a family. Winning the package would be awesome we could bring all our friends to share the experience with us!